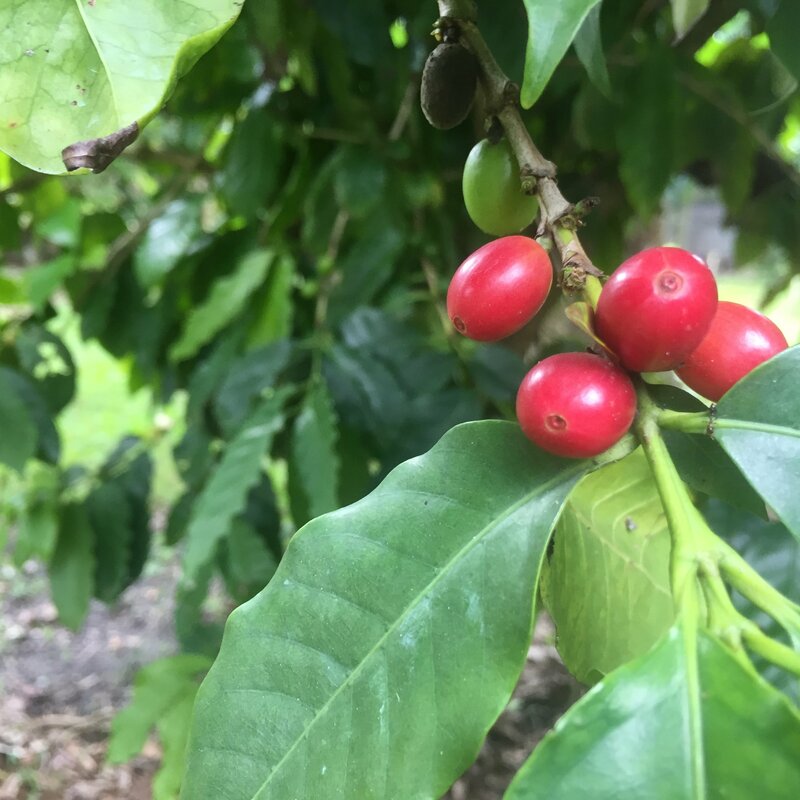 This week, we harvested coffee fruit to make our own homemade coffee! 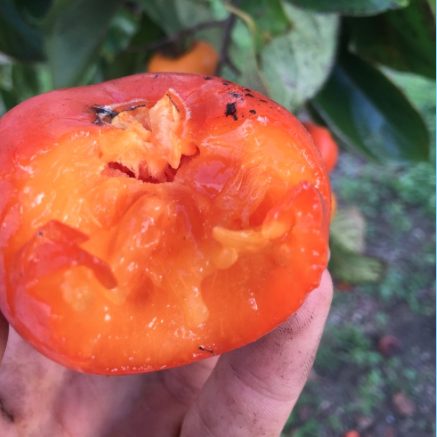 Miami Fruit harvested more tropical persimmons! We only have enough persimmon left for about ten more boxes, so if you want any tropical persimmon, order soon! 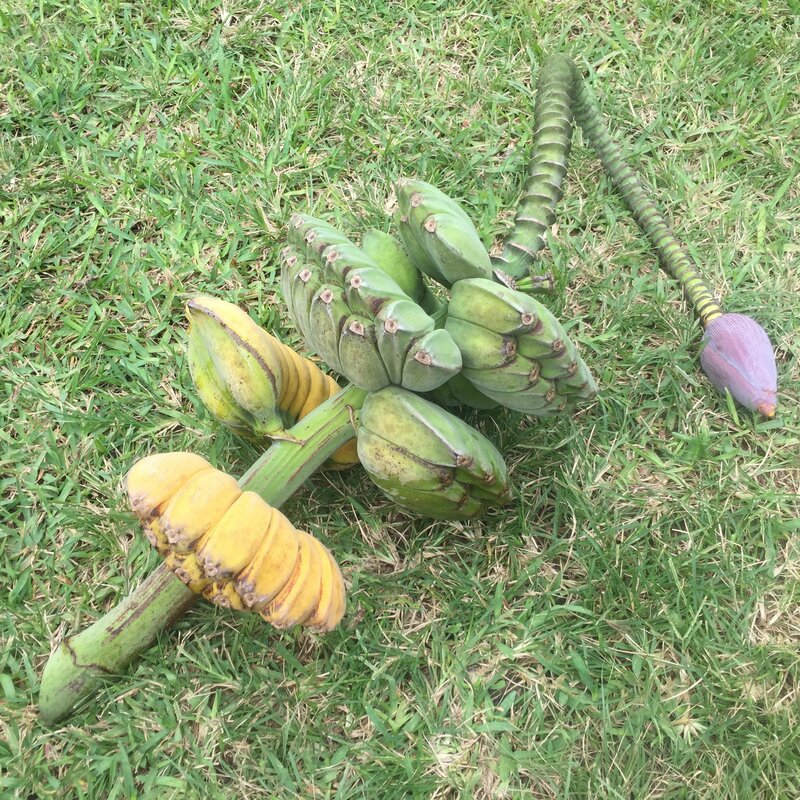 This odd looking fruit is called Charichuelo! The Miami Fruit team tried it for the very first time this week and loved it! 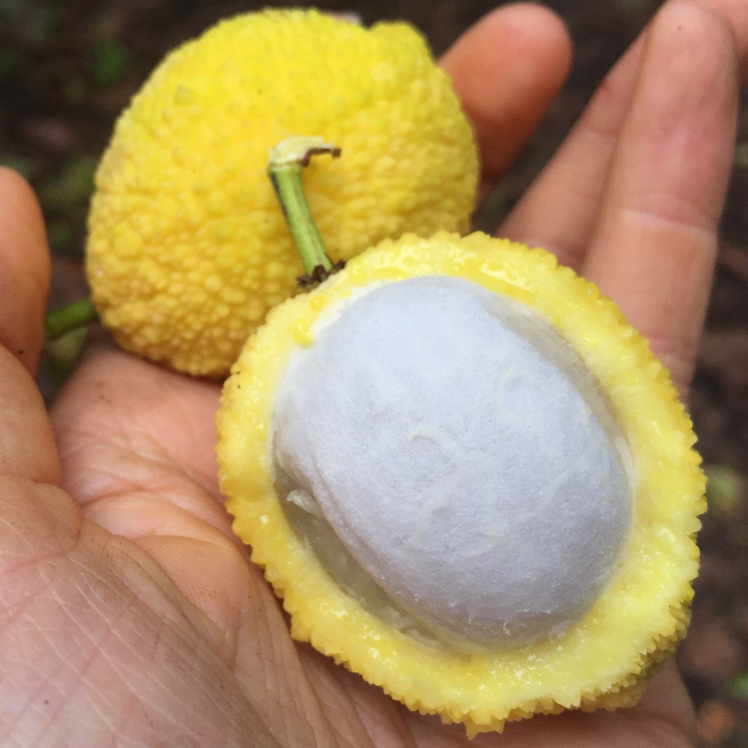 It is a very rare mangosteen relative that tastes like lemon cotton candy! 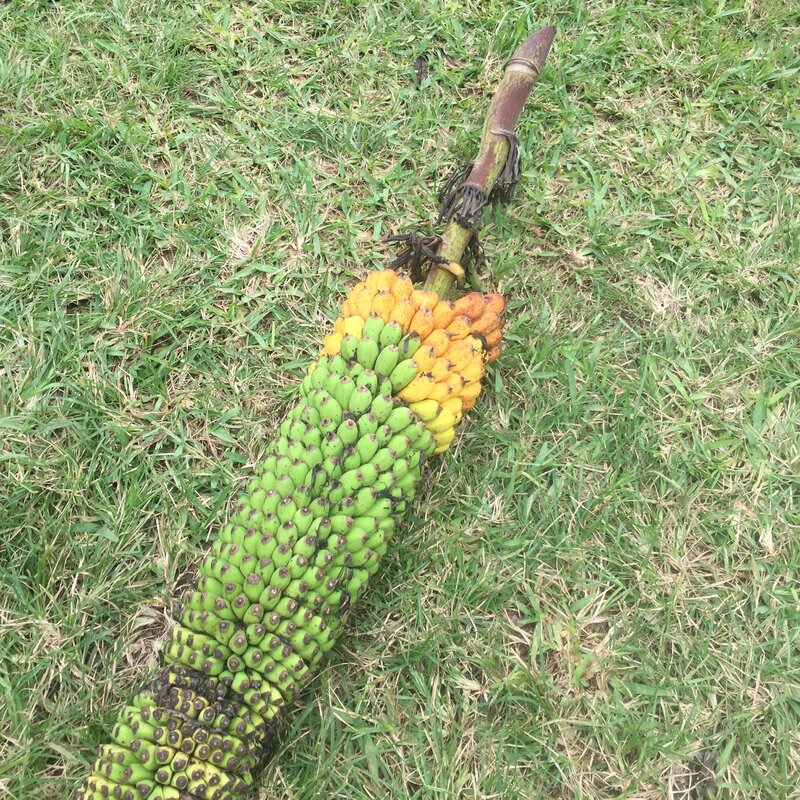 There is not much of this fruit left on the tree, you can pre-order if you'd like and if we cannot fulfill your order, we will refund you. There were a lot of saba racks to be harvested this week. Over 60 pounds worth! Saba is so good, I can't have just one! Praying hands made an appearance this week! You can preorder a box here! 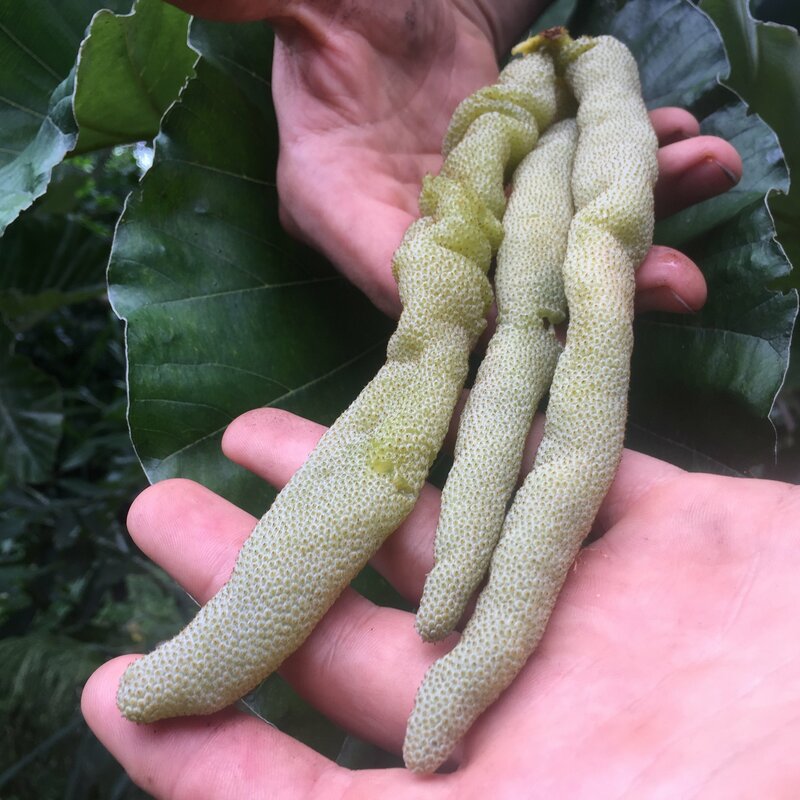 Here's a beautiful thousand finger rack that we harvested. 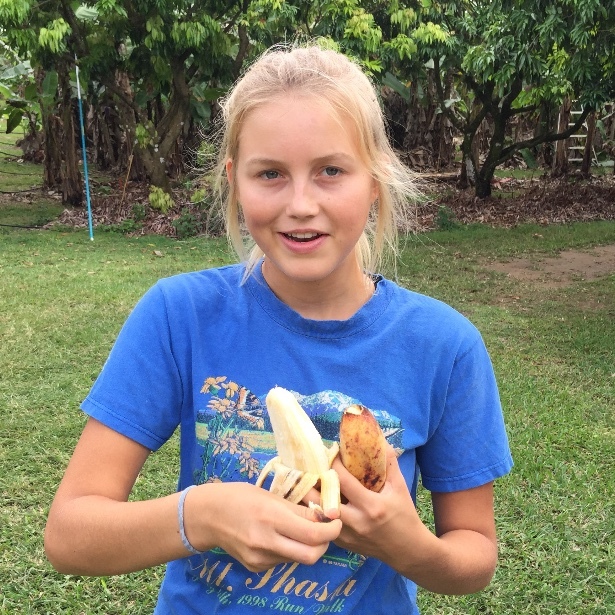 There is a good chance you got a hand if you ordered a banana variety or variety box this week! 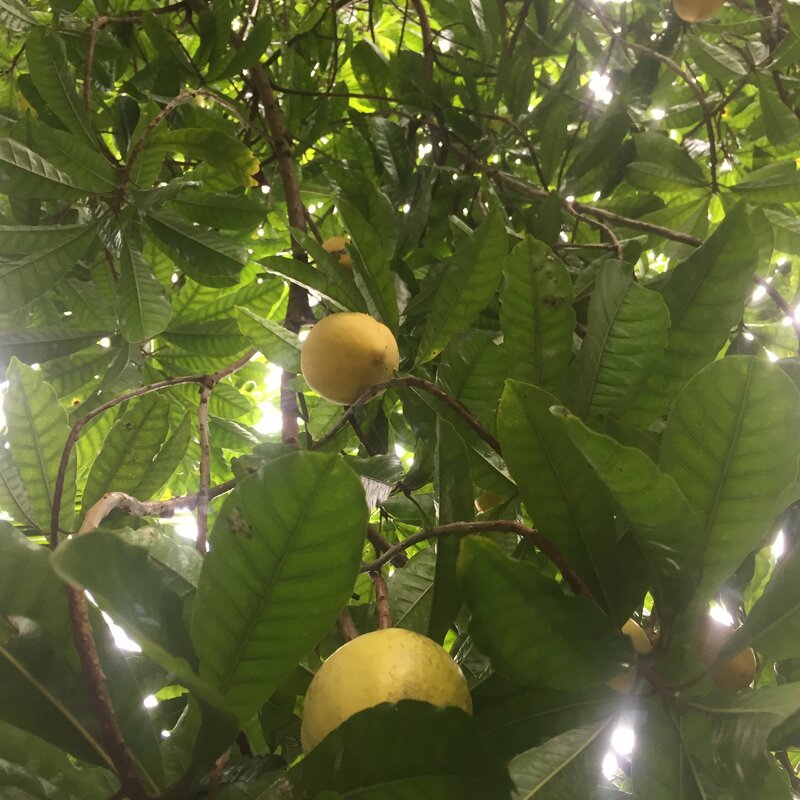 The egg fruit trees are ready! 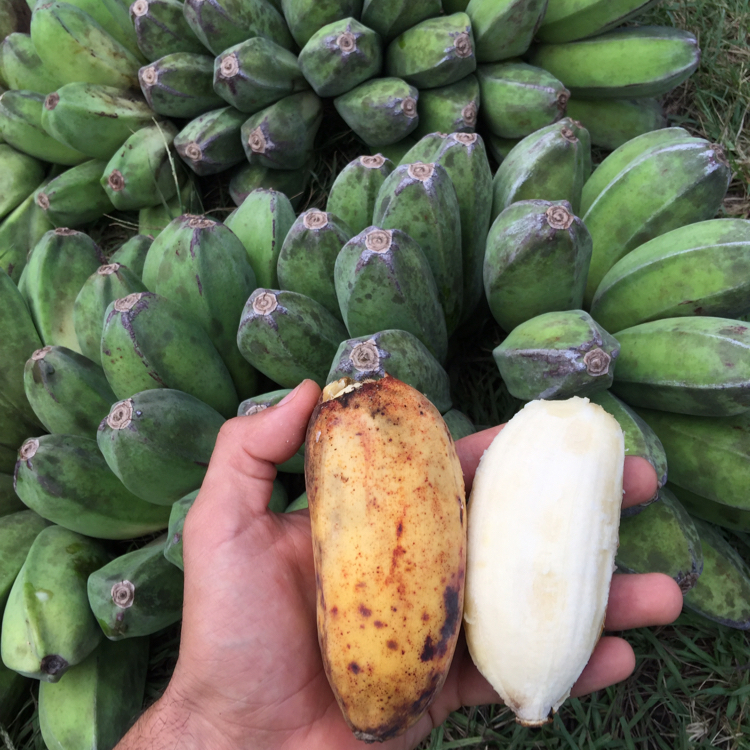 Want to try this interesting yellow sapote? Order a box of canistel today! 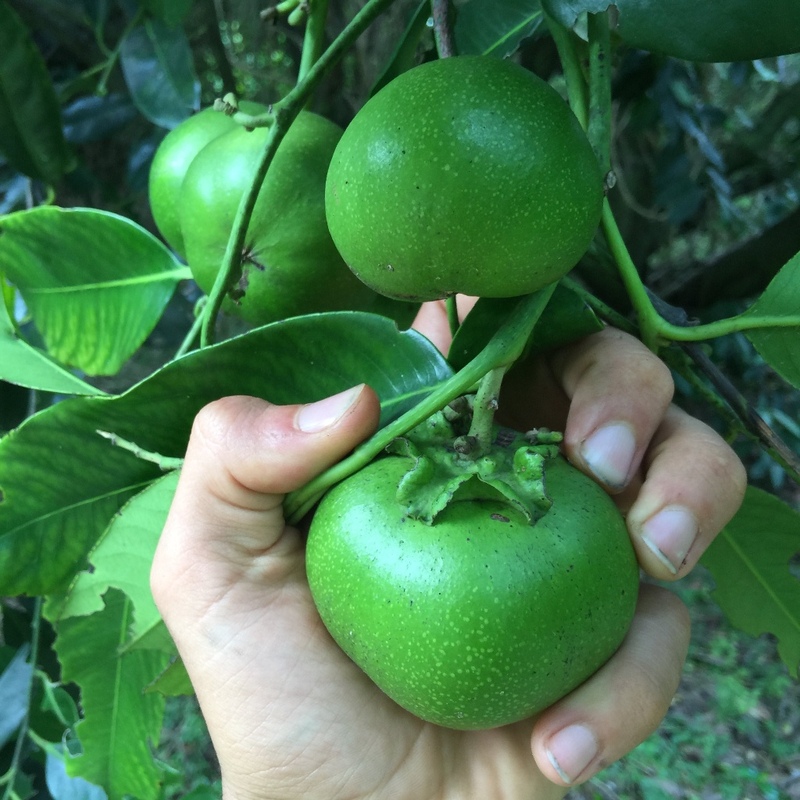 Black sapote are almost ready we say maybe a couple more weeks. If you would like to preorder a box, click here. We love eating gummy bear fruit at one of our favorite farms, this fruit is way too fragile to ship, but maybe some day we will be able to not eat it all and freeze dry some! 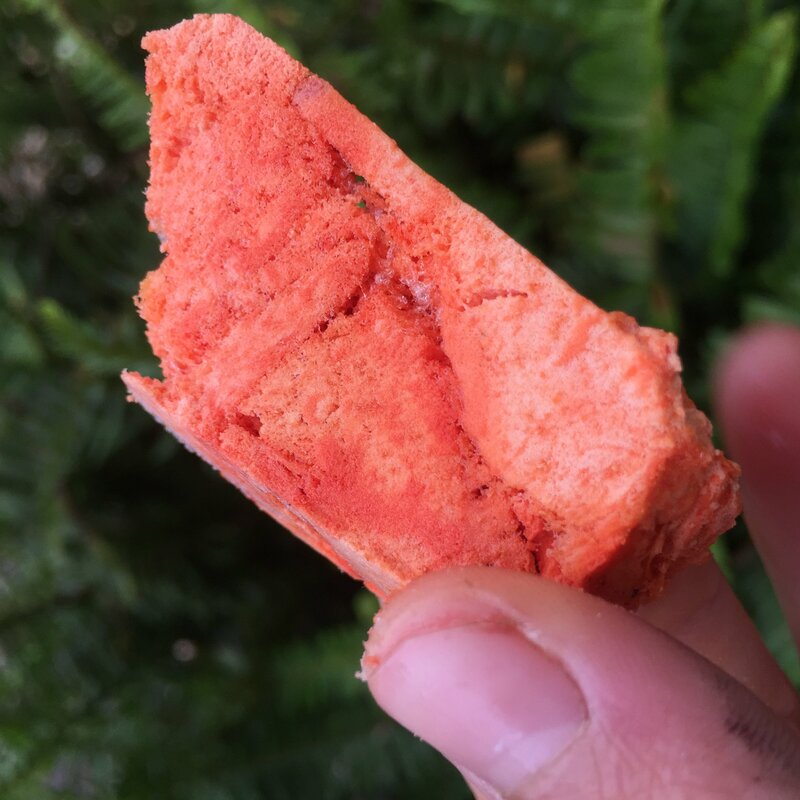 Speaking of freeze dried, we have freeze dried mamey sapote available now! 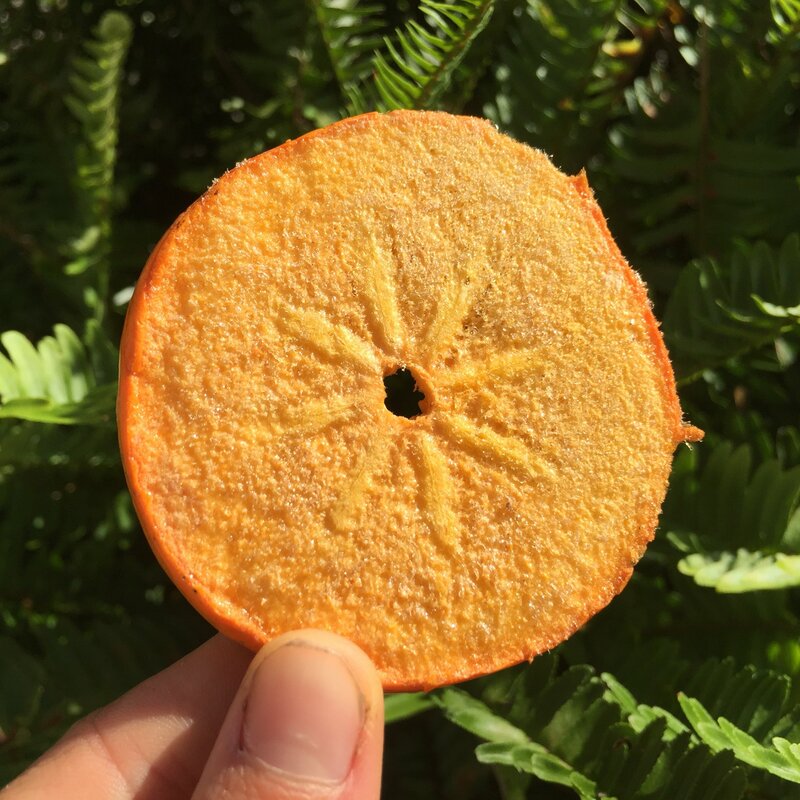 One of our new favorites is freeze dried persimmon! It tastes like a pumpkin spice flavored donut when freeze dried. 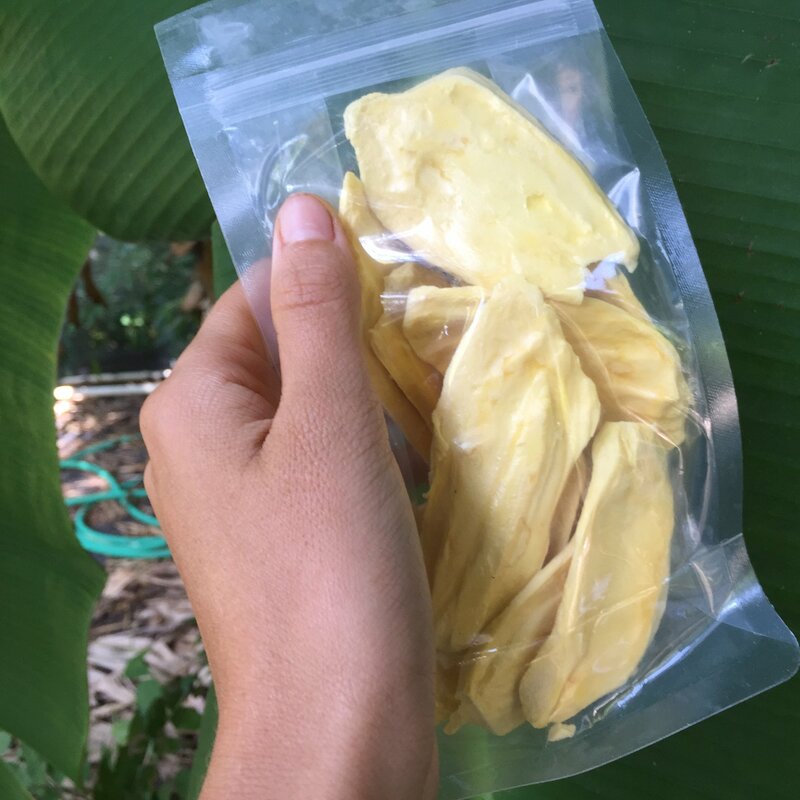 We also have been freeze drying a ton of jackfruit lately, if you missed out on jackfruit season which has just ended in Miami, you can try the freeze dried fruit instead! 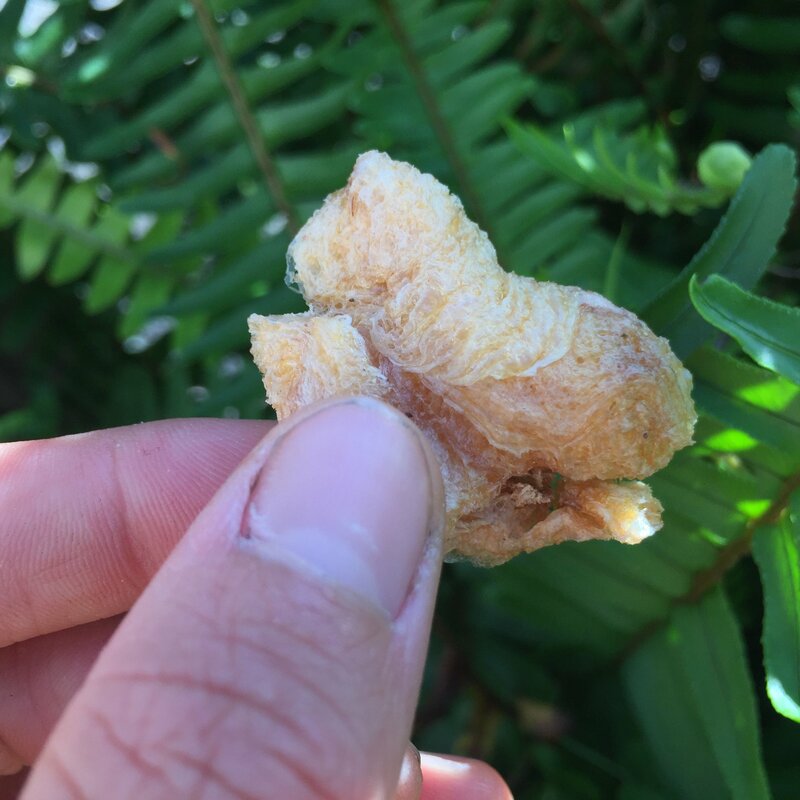 These freeze dried longan taste like caramel flavored popcorn! 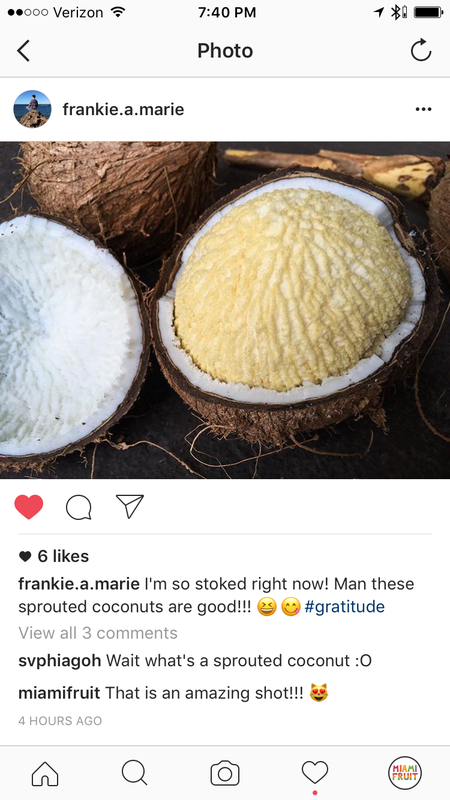 We are super exited to share this amazing picture of sprouted coconut from @frankie.a.marie on instagram! Lastly, I just wanted to show you all this amazing smoothie combo I've been loving lately. 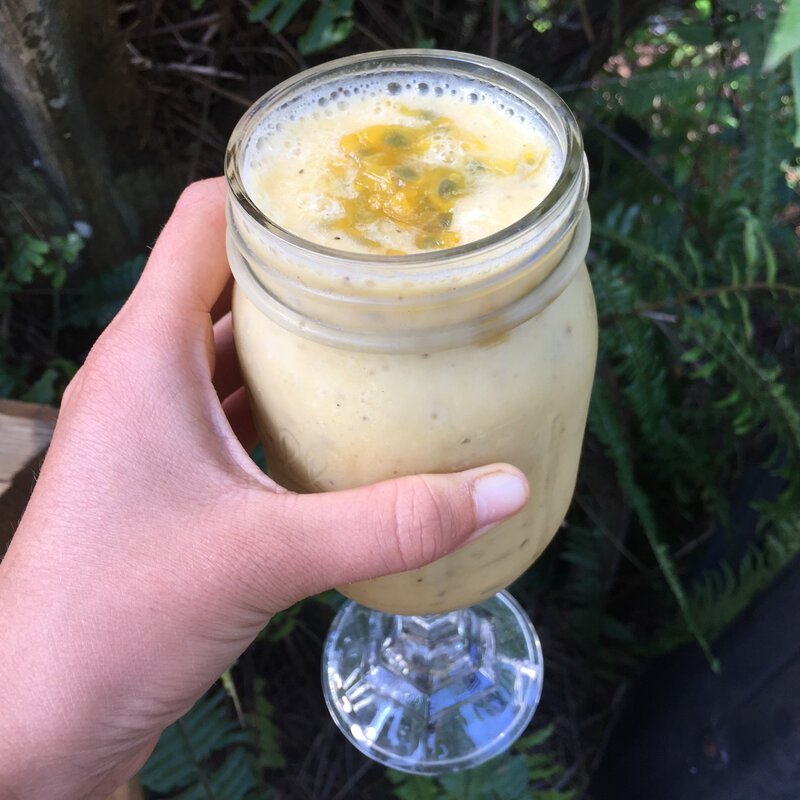 It is just frozen mysore bananas, frozen jackfruit, water, and passionfruit! If you try it out, please tag @MiamiFruit on instagram so we can see it!